When 29-year-old Flora Robson reversed her car into Tom’s Audi she had no idea who he was. Only after she has started to fall in love with him does she discover the gorgeous blue-eyed Tom is the man who is trying to close down her hairdressing business. It seems that Tom will stop at nothing to get what he wants, but Flora is not giving in to anyone. Can she win the battle against her multimillionaire enemy or will her feelings for him get in the way? Follow Flora’s hilarious journey of love, hot chocolate and marshmallows, and the man who changes everything. Lynda Renham is a comical genius and all of her books contain hilarity all the way through them. How she can create so many slapstick, comical moments from her imagination is beyond me. Flora is not only a hairdresser, but the proud owner of her own hair salon, on a bustling London high street. When national supermarket chain, Rory’s, want to buy her salon, after acquiring the two adjacent properties, Flora is unwilling to sell, much to the disappointment of her controlling, health nut of a boyfriend Luke Wright, known as ‘Wright up his own a**e’ by everyone else. Reeling from discovering that her friend Devon has gotten engaged before her, whilst Luke isn’t even thinking about marriage, even though she wants to be engaged before her thirtieth birthday, she reverses out of her parking space and straight into an expensive Audi, driven by the gorgeous and wealthy blue-eyed Tom. Tom takes Flora to a cafe near by to calm her down, and discuss the bump over a mug of tea. After they say their goodbyes they manage to keep on bumping in to each other, everywhere they go. when Luke goes on a golfing tournament in Dublin, Flora decides that she is going to take matters with Luke in to her own hands and ask him to marry her, by following him to Dublin. However Flora has problems at the train station and once again Tom, who is also travelling to Dublin, helps her out and offers her a seat in his private cabin. On the journey they have a lot of laughs together and Flora realises that she is falling for him. However Flora soon discovers that Tom is the CEO of Rory’s Supermarkets and is now disgusted with herself for even liking him. With more determination than ever Flora decides to fight him all the way, including organising a protest, with unusual results. Rory’s Proposal, had me laughing from the first page. There were so many one-liners and misunderstandings jumping off every page. I was absorbed into Floras life and was routing for her all the way, hoping that she would kick her so called boyfriend, Luke, to the curb as she is far too good for him. The character’s were very believable and had warmth to them, and you felt like you were watching the story pan out rather than reading, with the help of the beautiful and vivid descriptions throughout. I have never laughed so hard at a book before, and I have read Lynda’s other books. I was kept hooked all the way through and couldn’t tear myself from the pages. 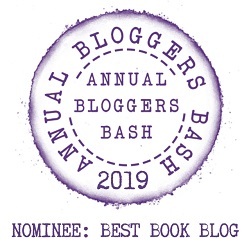 I found myself doing the ‘just one more page’ routine more than once as I was gripped. My only complaint is that I didn’t want the book to end. 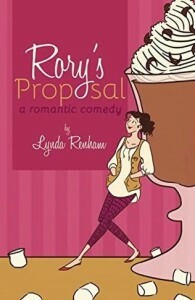 If chick lit with humour is what you are looking for, then Lynda’s books are the place to start.